Bottle(d) Botanica is an exhibition constructed from photographs taken to document the endeavours of my sculptural practice over the last few years. In this I have been most fortunate in being able to collaborate closely with Nick Kriesler as the photographer. Documenting these works has always been a time consuming and exciting process at the close of any major period of work. The close of the shutter would inevitably reveal something that was not quite a documentation of the work and not quite a work in itself. A true birth of something new seemed to arise effortlessly from these sessions, a rewarding and somehow true re-interpretation of the work. The camera’s eye would inevitably flatten the sculptural piece, but this would also reveal something. Something else. Nick and I always came away from these photography sessions of endless shifting of lights, tripping on cables, and squinting in the dark, enthused and talking of the possibilities of which these images spoke. In this exhibition I have finally seized that impetus and tried to craft and curate these images into a succinct and meaningful exhibition. Bottle(d) Botanica presents again, for the first time in photographic form, the themes that drive my art practice. These could be stated as investigations into the relationship between the binary idea of The Bottle (noun-thing-subject) and The Bottled (adjective-action-context-environment). Taking note that the bottle is itself a package and hence has been chosen as already referent to a context, space, or environment. Hence a collapsing or critique of the binary is inherent (that's kinda it in a nut shell, or rather a PET bottle). There are 8 images that can be divided into two distinct but related series. One series attempts, in landscape format, to present an expansive environment of delicate details, balanced against a rich negative space. These prints are large (100 x 80cm) evoking an immersive environment (1). In these latest photographs the guiding influence, as throughout much of my work, comes from Japan, and in particular the Bird and Flower prints of Katsushika Hokusai. It was these works that contextualised my choice of image, composition, scale, and focus (a process surprisingly difficult given the immediate beauty of the images Nick had made). The balancing of elements and the cropping of information became infuriatingly subtle until the right emotion and tone seemed to hum into place. The negative space in these works is expansive and the subject transparent, fragile, and slight in comparison. 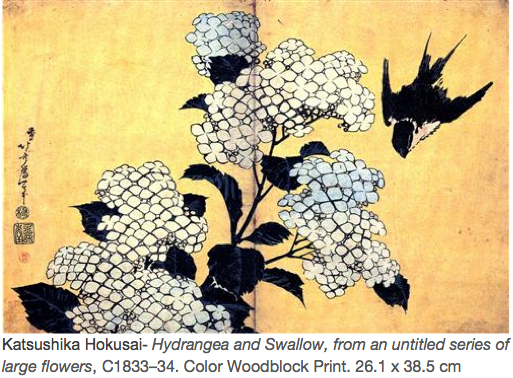 In a way the subject only exists in an attempt to hold the emptiness, the fleeting, the ephemeral, just as the passing of the moment (not the capturing of the moment) is the subject of Hokusai’s prints. The other 4 prints work not with a literal landscape but with a figurative one: the meta-landscape of concept and categorisation. These works are portrait in format and intention, but although portraits of individuals they concern themselves essentially with groups. These works explore the ‘bottled’: the patterns of language and the groupings of ‘likes’ that form the explicit basis of scientific taxonomy (and indeed any conscious engagement with the world). These are the works of the botanical illustrator and the botanist and fall within the scope of the tradition of such scientific drawing. Here then, the images suggest themselves as but parts of larger series (as they are) and the negative space evoked (whilst still somehow ‘Japanese’ in feeling) is the negative space of all the other, absent works in the series. One becomes aware that from these individual images a vast abundance could spread out, grid-like, in all directions, mapping an imaginary field of categorized types (2). If this field became vast enough and thorough enough (and the viewer focused/myopic enough) it could form an entire environment (The Environment) and lead us right back to the first series of landscape. This ‘portrait’ series then references all these kinds of analytic collection practices. 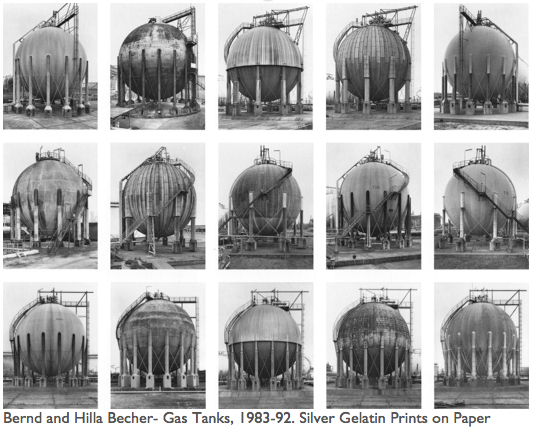 Perhaps most visibly in the art context the field-work of mid century German photographers, Bernd and Hilla Becher. The Becher’s work illuminates not so much the idea of field-work or documentary, as the very action of constructing conceptual fields to research. Their work documents the act of pattern recognition itself, out and active in the world. These works, surely, in their conscious choice of industrial subject matter alone, show an awareness of the mechanism not of sight but of comprehension. Hence it is this self-awareness of the phenomenological process of perception that is of primary interest - that is, the creative endeavour involved in the invention of the meta-level in the first place. So the bottle and bottled are seen to collapse into each other and become inseparable from any understanding of either. The meta-fiction of type cannot be founded without each repeating individual. Individuals become visible (in the sense of comprehended, named), through the (consciousness or unconscious/social) implementation of types. The rendering of reality through language is the only reality we can inhabit, even to ourselves as we speak back our experiences in an internal narrative dialogue of comprehension. What is fascinating is the complex inter-relationship that requires a tight perceptual focus and yet is all about peripheral vision. This is a multi-levelled, and metaphor rich, self-conscious view of our perceptually manufactured world. Finally it becomes the ramifications of these ideas, the consequences of this view-point, this conceptual cartography and the ability to inhabit this environment that is of real interest. (2) This indeed was the premise behind large sculptural installations like There is No Land (but the land) at Gippsland Regional Gallery, Sale and even Shadow Fact Flower Stall (though referencing a particularly commercial construction of a taxonomy) as part of the Substation Contemporary Art Prize 2014.